Why we do what we do, How we do and What we do! 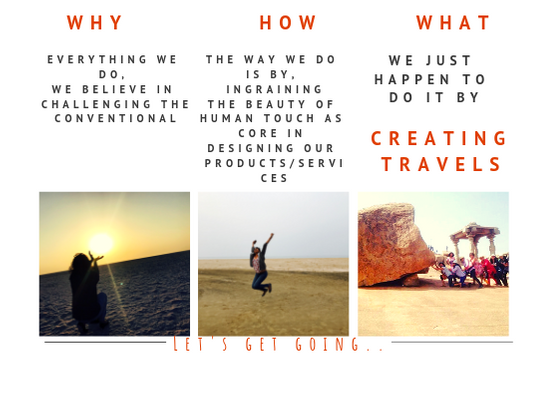 Building a platform for women travelers in order to make Travel Easily Accessible! Who loves to travel and wants to travel more often, it shouldn’t be a hassle-filled process of planning and dependent on your friends and family’s schedule. It shouldn’t be just an annual affair or twice in a year, which you made it happen after days of planning at personal and professional front, hence varied range and duration of travels. Specific version of travel where Freedom of solo with the comfort of being safe and carefree blends in the most unique way! We often, get asked why it is only women travels? its like asking why only women salons, or only women apparels and so on! It’s not about only women travel, it’s about travel for women, travel crafted for women audience! It’s a Need as per the kind of travel, Not a differentiation! All covered! With us? then join in, Let’s Get Going.. 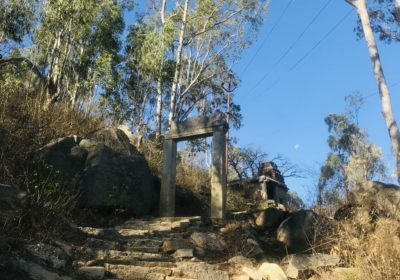 The trips organized here are fabulous, Had gone to Hampi and enjoyed it like anything, Special thanks to organizer Himali and the group for making it happen. Have gone to many events conducted by Himali, they are just awesome meeting new people and making new friends. “Girls let’s get going ” Just happened. I am glad I joined this group as I discovered myself in every way in every meetup. I just could not stop myself in joining in every trip we had. If I could describe the experience in one word then it would be ” Awesome “. After my first stint with TheeBeauties, there has been no looking back, no google searching for places to go, no planning trips for me. Just go on the trips planned by Himali and enjoy, as I am assured of comfortable, safe and fun travel. Best part of her trips is that there no hard bound to-do list, there is rough sketch of what we would do, and the rest is left to exploration; which is by the way my kind of travel. It is been wonderful ever since I became a part of �Girls Let�s Get Going� group. It is been over a year now and each time I go out with this group I experience something completely new � new place, new people, new experiences, new connections. Thanks to all the lovely members who make travelling a pleasure. Himali- it is been wonderful knowing you and all the beauties in this group -keep it going.